Several years ago an interesting friend moved from Texas to New Mexico to guide elk hunts. He built a log cabin in the wilderness and lives today much like they did 100 years ago. 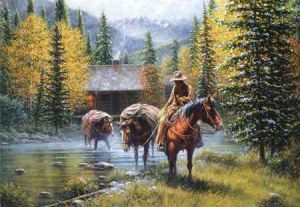 There is no electricity and no telephone but plenty of beautiful scenery, game and peacefulness.